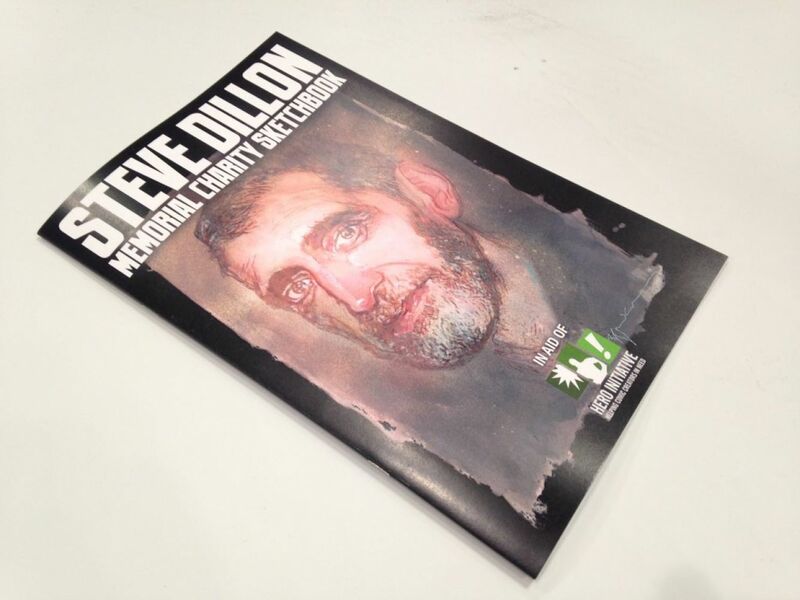 Friends and comrades of Steve Dillon came together on the anniversary of Steve's parting to create amazing art in his honor. This 32-page book includes an intro from long-time friend and collaborator Garth Ennis, along with artwork by Duncan Fegredo, John McCrea, Cliff Chiang, Glenn Fabry, Jill Thompson and many more. The cover is by Bill Sienkiewicz. This edition also includes three prints by artists Sean Phillips, Jeff Lemire, and Russ Braun.